A cold drink on a hot day is a welcome sight; but a cold drink with ice-encased fruit is both both refreshing and irresistible. Fruit-infused cubes give water a burst of flavor, dress up cocktails or iced tea, add elegance to punch bowls, and will impress everyone. They're also really easy to make. 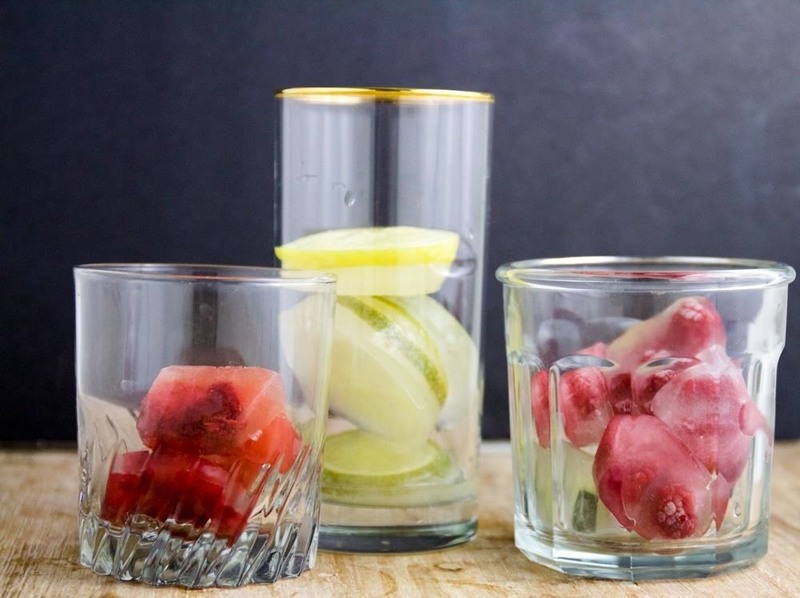 Here are three different ways to transform your ice cubes from boring to fabulous—and you likely already have everything you need to make them. Pick a juicy fruit, such as watermelon, blackberries, or cherries (remove the pits first), and mash. You can either do single-fruit cubes, or go wild and mix and mash fruits together. 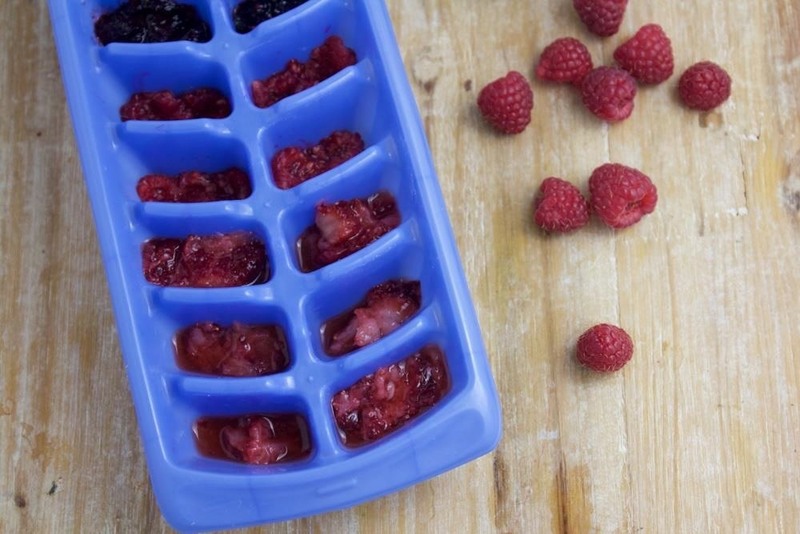 Pour your pureed fruit into ice cube trays and freeze overnight. Ta-dah—juicy, flavorful, and gorgeous ice cubes! You can also layer the fruit purees for an even prettier cube. Just fill the trays partially with fruit, freeze for an hour, then add another layer. Repeat this process until the tray is full (and you've got awesome striped cubes). To add even more classy complexity, mix in soft herbs like mint or basil. Wash and select the fruit you'd like to use. It's okay to leave small fruit like blueberries whole; for larger items, like cucumbers, you'll need to chop them into smaller pieces. 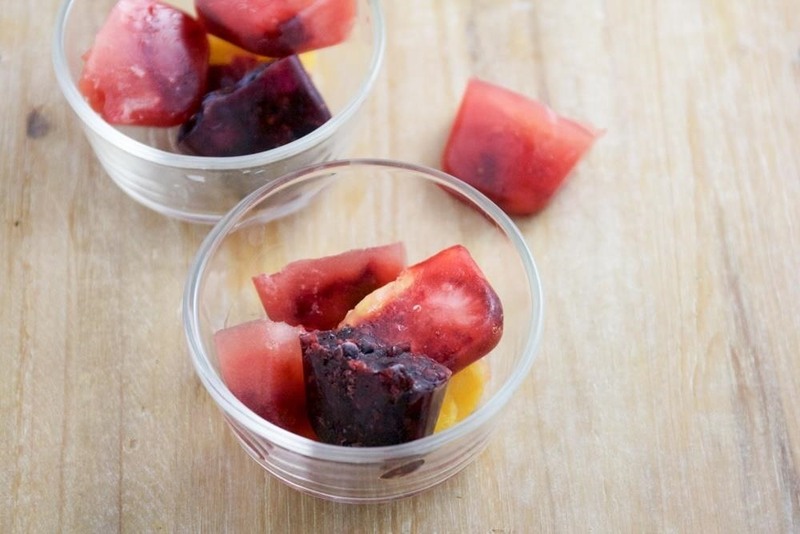 Add fruit to the ice cube molds. 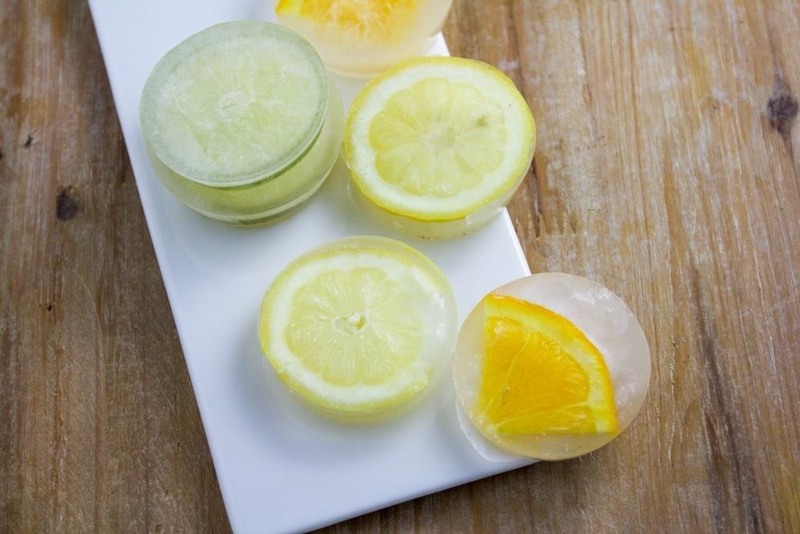 Boil enough water to fill your ice cube tray; hot water creates clear ice cubes, and we want to be able to see the fruit clearly in our drinks. Pour the boiled water into the fruit-filled trays and freeze. Here's a list of the fruit that I used; feel free to get creative and try different kinds! Pick out some citrus fruits to freeze: oranges, mandarin oranges, limes, lemons, and so on. Wash and slice your citrus into thin round slices; some oranges may be too big to fit into the muffin tin, so quarter them. 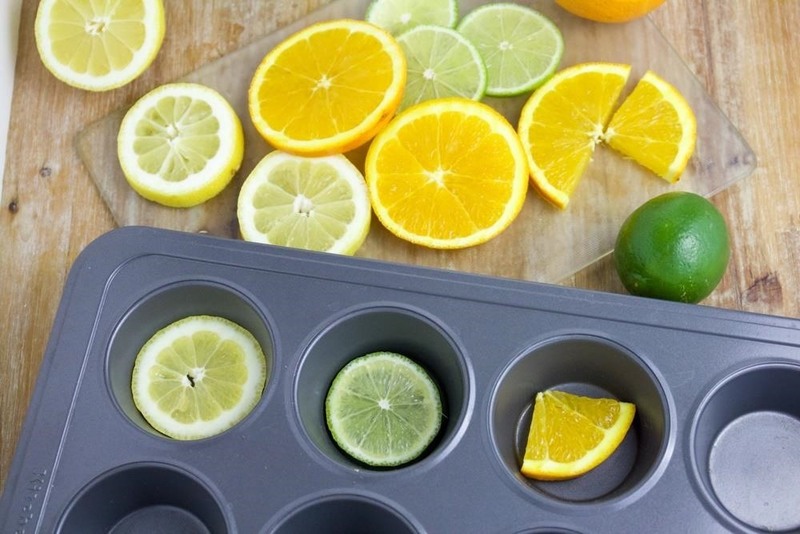 Place a piece of citrus into the bottom of a muffin tin. Pour boiled water into the tin, gently filling the cups. Freeze. Note: Metal tins don't have any give the way plastic or silicon molds do, so cube removal may be difficult. Try tipping the muffin tin over and gently tapping on the bottom to pop out cubes, or place the muffin tin in a shallow pan of warm water to release them from the cold tray. 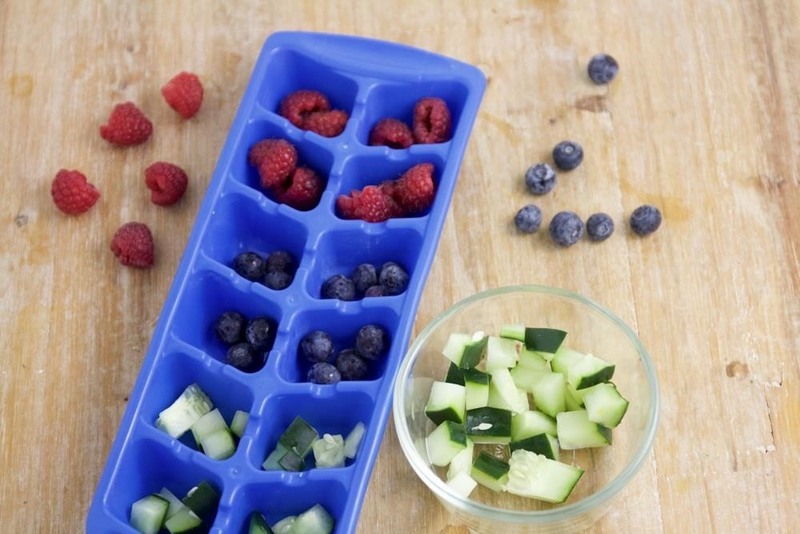 Next time you go to fill up those ice cube trays, remember to add some fruit to give your favorite drinks a fun and flavorful twist! 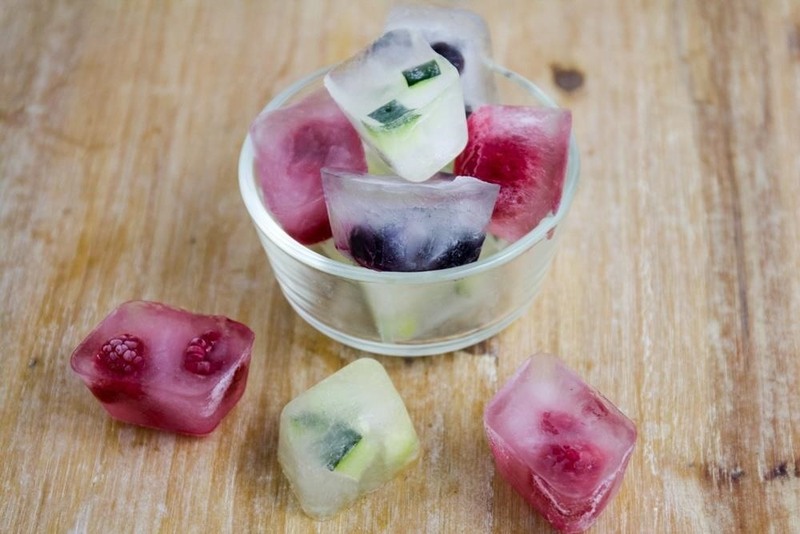 Have you tried making fruit cubes at home? Do you have any flavor combinations or fruits you'd recommend? Let us know in the comments below. Yummy nice, this will make water more tasty and would drink more water without adding any sugar.